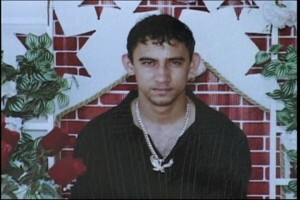 There is more disturbing information coming from the family of twenty-three year old Christopher Galvez, who was murdered on the night of December twenty-second, 2009. It has been a messy investigation and a number of cover ups have been alleged. Earlier this week News Five spoke to a witness who has identified the shooter in a statement given to the police department. The family has maintained that they have been receiving text messages from the person who stole Galvez’s cell phone on the night he was killed and is using it to intimidate them. The family believes that person is either the killer, or someone working in collusion with the killer. Marion Ali has been following up this case and has an update. The most recent message was sent to Galvez’ sixteen year old cousin around six-twenty on Wednesday morning. The youth, understandably upset by the disturbing message, shared it with his mother, Yolanda Schakron, who has led the charge in the media about her nephew’s murder. News Five got a chance to view the messages and while none we saw directly threatens the family, one of them does single out Mrs. Schakron as a possible target, presumably for being publicly vocal about her suspicions. A couple of the text messages contradict each other, and the sender changes roles, first as an informant, as in this case, then as the mastermind behind the killing and also as the actual gunman. In this one for instance, the sender said he had a gang member kill Galvez, and he goes on to clear a police corporal, whose arrival and presence at the scene that night has caused the Galvez family to raise serious questions. 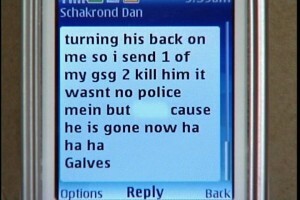 But in this text, the sender now takes blame for the murder, again clearing the police corporal. In another text, the sender mentions that it was a gang member, who he identifies by his nickname who contracted him to carry out the murder. And now he wants to kill that gang member because he has not been paid for the hit. The messages have upset the Galvez family, but they continue to take precautions to keep safe and hope that Chris Galvez’s murder will soon be resolved. Reporting for News Five, Marion Ali. this sound real stupid lol the police has the phone tryin to clear him self come on its clear to see they tryin to frame someone they hit that boy tryin to take away some of gsg backin an to send them a message im not even there an i can see rite tru this why would the police who is supose to uphold the law go to these grievin ppl home an treaten them if he didnt have any thing to hide. wat was he doing at the seen anyway unless he knew wat was going down. as usual lets used gsg as an escape goat chris was family an always will be. 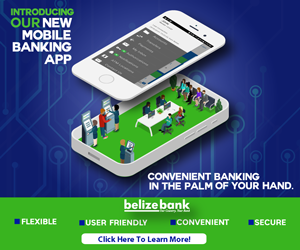 don’t Belize have their own cell phone companies? isn’t it possible to track a cell phone down? what calls where and being made since mr galvez’s murder. isn’t it possible for the cell phone company to make a print out off calls made? im not a cop but don’t the police have some kind of tool to help them find stolen cell phones? if not Belize is in worst state than i thought. yup..i believe it is the cop that is sending the tx..trying to cover himself! it is really that obvious. i am very sure that the belize police department have some excellent officers, men who are there because they have law enforcement at heart but a department is only as good as its leaders and as any one can see from the Galvez case that our police department has some very sad leaders as a matter of fact there is no leadership ,they are not worthy of the uniform they wear, there was a detective in belize that was transfer to belmopan,his name was Chester ..can’t remember his last name,the man was great but it seems as if they were scared of him in belize headquarters as he was a no nonsense man,and on the other hand you have a phone company the is held hostage by one man threatening these people,when the technology is there to track these people down,our people deserves better. This whole entire ordeal is sad and shameful for the entire police department. This is evidence of how far embedded is corruption, deception, bribery and plain old police inneffectiveness and inneficiency. These young crooks who grow up with a silver spoon live in a fantasy world where they feel that they can run over and buy over the law and feel that they can get away with it. At the end of the day the only loser are us, the BELIZEAN SOCIETY AND OUR FUTURE GENERATION. Wake up BELIZEANS !!!!!! Appreciate it!! Still yet another great way of looking at things, undoubtedly precisely why we returned to all your web site frequently! If Chalillo dam breaks, will NEMO be ready?